The wet weather of February didn’t put our hard working volunteers off getting out and doing their bit for Snowdonia! They worked hard to manage woodlands, clear footpaths, plant trees, garden for wildlife and clear bamboo. The Snowdonia Society, are looking for volunteers to help measure the dark sky quality within Snowdonia. Our best volunteer week yet! Last week a group of our volunteers headed out for five days of practical action! With tools at the ready, they worked hard to conserve and enhance different areas of our special national park – what a great way to explore! With a different activity organised for each day there was something for everyone – whether they wanted to maintain Snowdon’s well trodden footpaths or to clear Himalayan balsam from a Special Area of Conservation. Creating a buzz at Tŷ Hyll! 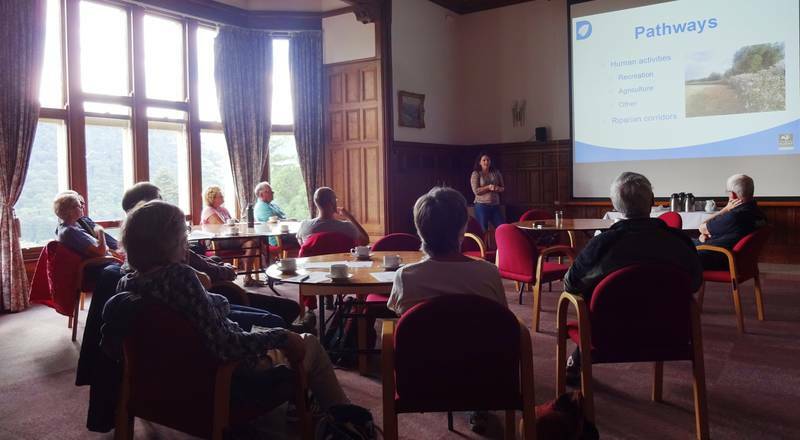 We presented this video update about the fantastic work of the Snowdonia Ecosystem Project’s volunteers at Saturday’s AGM​ (17th October 2015)​. If you missed it (or would like to watch it again) here it is!​ A big thank you to all our volunteers for all their fabulous work over the year.